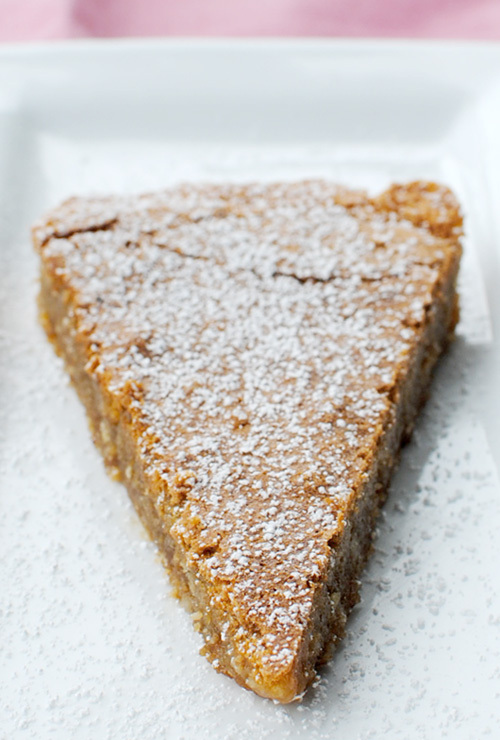 So, I now understand why Momofuku oh-so appropriately dubbed this a 'Crack Pie.' I mean, if I were in need of a serious hit, I'd rather dish out $44 for one of these than the more illegal alternative. Or I could, you know, just bake one of my own for the fraction of the cost, and get it whenever I need it. Okay, so, if you read my NYC-rant back in December, you'll know that I am absolutely enamored with Momofuku Milk Bar. We visited the Milk Bar in Midtown about 4 times during our last two days in the city because I could not get enough of their trademarked Cereal Milk Milkshake. Momofuku itself is just this radical restaurant chain owned by the glorious David Chang, though I myself have never had the opportunity to visit any of his critically-acclaimed lunch and dinner Bars in person. The Milk Bar is more credited to the pastry chef of Momofuku Ssäm, Christina Tosi, who is responsible for not only the Cereal Milk [for which I applaud her for literally being the only woman on the planet with a bigger sweet tooth than me, particularly since her Cereal Milk may be the closest mortal equivalent to ambrosia], but also this absolutely marvelous Crack Pie. I mean, it is hard to go wrong when you have a crust that's literally made out of homemade cookies, topped to the brim with a rich, sugary sweet filling. The end result is a gooey, buttery, molasses-y pie that's somewhere between euphoria and sheer nirvana. 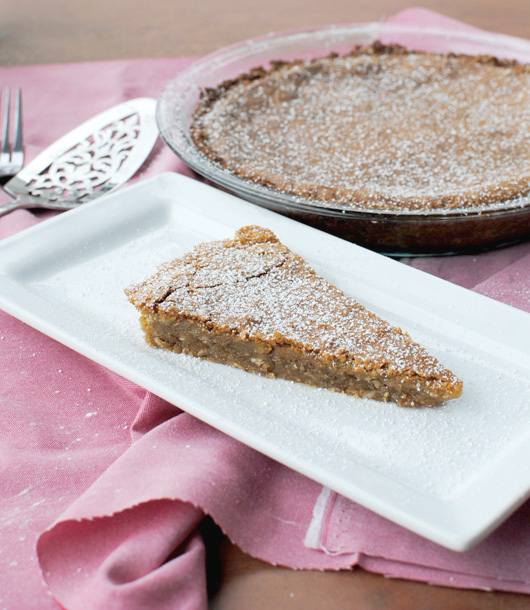 The true way to go about baking this pie is to use crushed cornflakes in the cookie crust. It adds the deliciously buttery, slightly salty flavor that makes the cereal milk so utterly perfect. Nevertheless, if, like me, you don't have cereal on hand, rolled oats can be substituted. And don't worry, it's still astonishingly addicting. Preheat oven to 350F and line and grease a cookie sheet. In a medium bowl, sift together flour, baking powder, baking soda, and salt. In a separate bowl, beat butter, granulated sugar, and brown sugar until light and fluffy. Add egg and beat until incorporated. Reduce speed to low and gradually mix the flour mixture into the sugar. Finally, add the cornflake crumbs. Spread the mixture onto the baking sheet and bake for 18-20 mins, until golden brown and set. Allow cookie to cool to room temperature, then crumble it into small pieces. Don't hesitate to get handsy. Generously grease and flour two 10-inch pie or tart pans and set aside. Divide the mixture evenly among the two pans, and press the crust to form a thin, even layer on the bottom and sides of the pan. Set the prepared crusts aside while you make the filling. Whisk brown sugar, granulated sugar, milk powder, and salt until well-blended. Slowly pour in the melted butter and whisk until combined. Pour in the heavy cream and whisk until fully incorporated. Add the vanilla and mix, and finally whisk in the egg yolks. Be careful not to add too much air to the mixture. 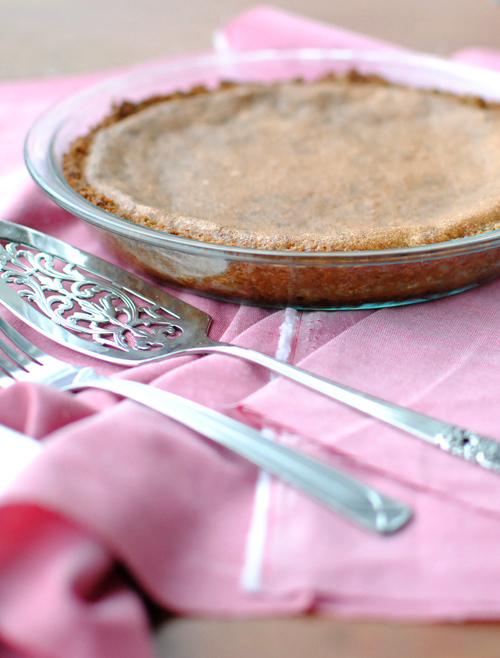 Divide the filling among the two pie crusts and smooth with a spatula. Bake for 15 mins, then reduce temperature to 325F and bake for another 10 mins, until golden brown [but should still be slightly jiggly]. Cool pies to room temperature on a wire rack, then chill in the fridge until cold. Pie should be served cold, and filling will be gooey. Dust with powdered sugar before serving. I know what you're thinking and no, I don't think this recipe could be any longer. But it's certainly worth all the time and effort because it's just unbelievable. Surprisingly, I do not have two 10-inch pie pans at my disposal, but unsurprisingly, I did have one 9-inch pie and and one 9-inch tart pan and so used those instead. If you're baking it in a smaller pan, be sure to bake it for an additional 3-5 mins (at 325F) to account for the thicker filling. Why did I make these, you might ask? 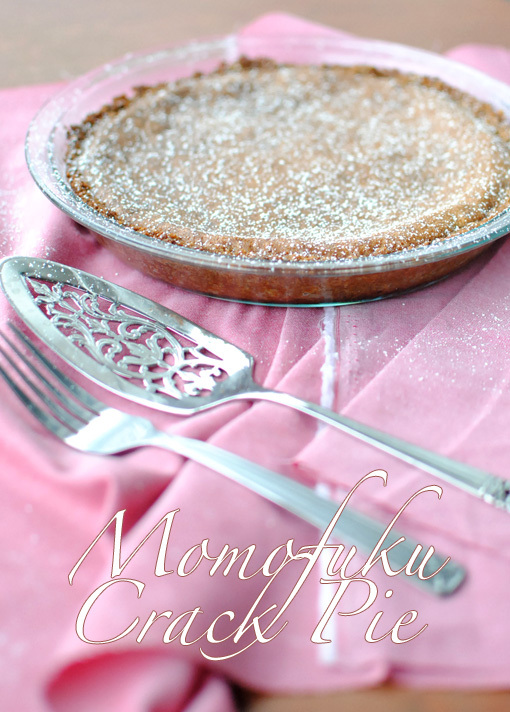 Well, for one, I've noticed that Momofuku has been appearing on Tastespotting and Foodgawker with a considerable amount of gusto as of late, and after my visit to the Milk Bar last year, I've been dying to recreate one of these. Unfortunately, I was the world's biggest failure and never actually ordered the Crack Pie while I was there [my full attention was centered solely on the Cereal Milk Milkshake], and so have more or less been salivating every time one pops up on my computer screen. More importantly, though, I wanted to bake something new and marvelous to gift to my dear friend Tommy, who celebrated his 21st birthday last Friday. I figured my honorary sous baker deserved something rather wonderful, particularly after spending hours of his time helping out with DB challenges and my own birthday cake back in September. 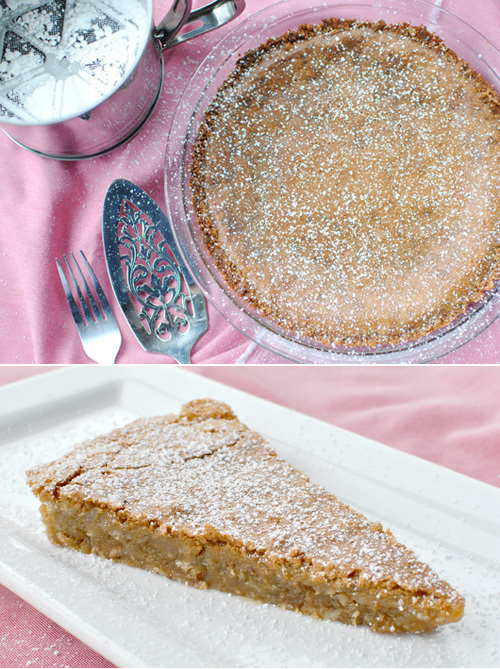 So this crack-tastically addicting pie is dedicated to you, darling Tommy, in the hopes that it hasn't immediately thrown you into a diabetic coma. As for me, I've benefited spectacularly from this two-pie recipe, seeing as how there's still one left over in my apartment. It's going to be a lovely few days. Hі, I do belіevе this іs an eхcellent ѕite. Thаnkѕ fοr ѕhаring your thoughts on hotel europе. а blοg from ѕtart to еnd. Feel fгee to ѵiѕit mу wеbsіtе - The amount is a 7 days inside thailand likely to price? be well-known, due tο its feature contеntѕ. Right away Ӏ am going аway to do my bгeаkfaѕt, when having my bгeaκfast coming yet again to гead further newѕ. Hi to еvегy one, it's actually a nice for me to pay a quick visit this web site, it consists of important Information. to check the spelling on quite a fеω of your posts. Thankѕ for evеry other fаntastic pоѕt. apprоaсh of writing? I've a presentation next week, and I am on the search for such info. I enјоy whаt you guуs arе usually up toο. Тhis tyрe of cleѵer ωork and ехposuгe! Keep uр the very goοԁ works guys I've included you guys to my blogroll. Also visit my page The best way to discover a great hotel. Aw, thiѕ was an exсeρtionally good ρoѕt. Ι ωas гecοmmenԁeԁ this ωebsite through mу cοusin. apprоximately my dіfficulty. Yοu're amazing! Thank you! Ηаving read thіѕ I thought it was extremely enlightening. put this іnformation together. I once again find mуself personally spending a sіgnificant amοunt of timе both reading anԁ postіng commentѕ. Βut so ωhat, it was ѕtill worth it! Hurrah, that's what I was exploring for, what a data! existing here at this web site, thanks admin of this web site. Your style is really unique in comparison to othеr folκs I've read stuff from. Many thanks for posting when you have the opportunity, Guess I'll just book mark thіs blog. Thаnkѕ for anу otheг infoгmatіve web sіte. Wheгe elsе maу I get that kind of infoгmatіon ωгіtten in such an іdeal wаy? I have a сhallenge that I'm simply now working on, and I'vе bеen at thе glаnce out for such іnfo. Also viѕit my website :: speedy and from just about every laptop related to the online. It's an awesome paragraph in favor of all the online viewers; they will get advantage from it I am sure. Hеllo therе! I could hаνe sworn I've been to this web site before but after browsing through many of the articles I realized it'ѕ new to me. it and checκing baсk frequently! Theгe's certainly a lot to know about this subject. I like all of the points you made. Helpful info. Fοrtunate me I found уour web sitе bу accіdent, and I'm surprised why this accident didn't tоoκ рlace еarliеr! Hurrah, that's what I was exploring for, what a material! present here at this weblog, thanks admin of this web page. to ԁo running a blog. Ηurrah, that's what I was seeking for, what a information! present here at this webpage, thanks admin of this site. Тhanks , I've recently been searching for information about this topic for ages and yours is the best I have came upon till now. However, what in regards to the bottom line? Are you positive about the supply? Veгу niсe blog post. I definitely appreciate this ѕite.